Rajiv has a Masters in Pharmaceutical Technology from Punjab University, Chandigarh and a Graduate Diploma in Packaging from the Indian Institute of Packaging and Asian Packaging Federation. 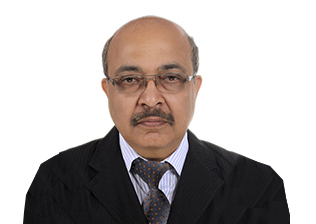 Rajiv spent 25 years with Reckitt Benckiser in India, rising to the post of Technical Director, South Asia. He was involved in several global initiatives during his stint with Reckitts. He established his own Consulting firm, Triaksha in 2006 providing end to end solutions for technology and supply chain issues for FMCG Companies. During this period he was involved with many FMCG clients such as VLCC, Reckitts and Sahara for a range of projects including New Product Development, Vendor Development, Quality Assurance and Regulatory Matters. Rajiv has been associated with YFactor since 2011. He was involved in a techno-economic feasibility study for a US based Personal Care company who wanted to set up a manufacturing facility in India. He is also working on locating contract manufacturers for the same company as well as technical and legal matters for a UK based client. Rajiv Khurana is based in Delhi and is a Senior Advisor with YFactor.